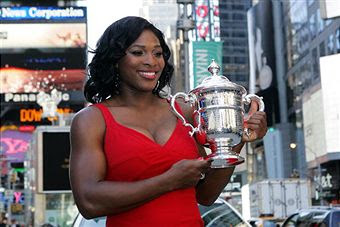 American Serena Williams poses in New York City in Times Square with her U. S. Open Championship trophy while looking absolutely spectacular in red. 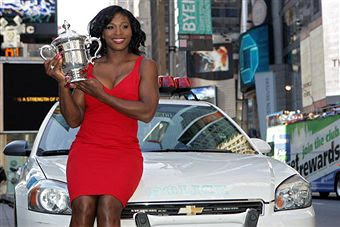 Work it girl! !